Ripley. Kickass women actors improvising artful, long-form narrative. 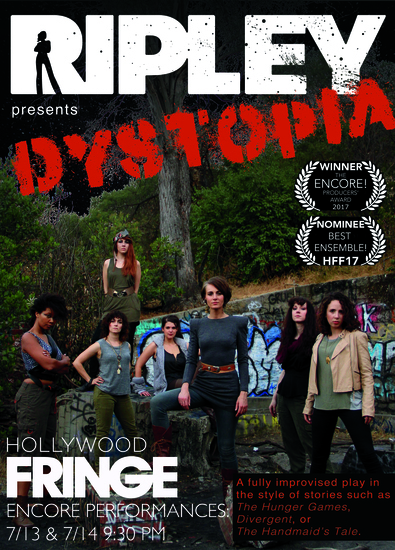 In their current show, DYSTOPIA, Ripley Improv tells the tales of young women coming of age against a dystopian backdrop. Like the heroines of The Hunger Games and Divergent, the women of Ripley’s “DYSTOPIA” rise up and fight the oppressive powers that rule their lives. Ripley improvises one hour original plays based on your suggestions. No script, no planning, no net. Check out our AUDIENCE REVIEWS on Better Lemons! DYSTOPIA is 100% Sweet!